I’ve been assisting sound Engineer Ian Simpson with live events to move out of my post production comfort zone and gain new skills. This is an extract from a live gig at the BFI- which as you can see had some fantastic visuals and many elaborate costumes. A pretty frantic job swapping radio mics between very elaborate costumes but it went well. 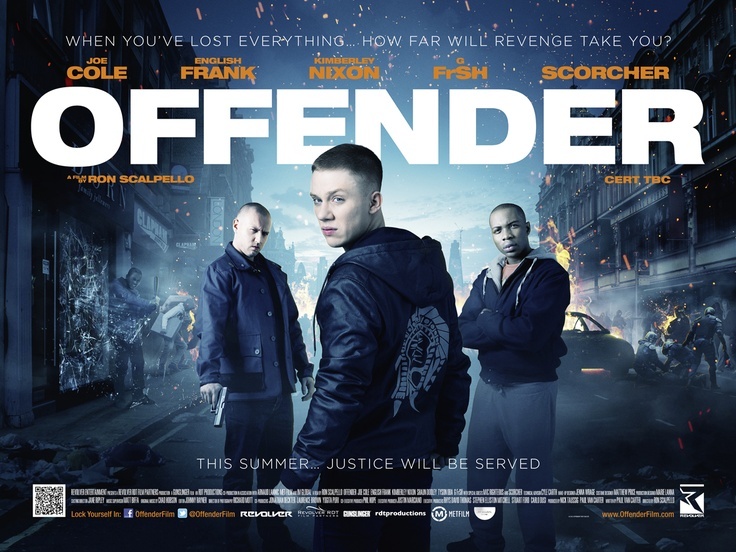 The Offender is a revenge thriller set against the backdrop of the London Riots and a grim young offenders Institution. Cinema release is on August 8th. More details on the Facebook page I handled the dialogue edit and premix, shot the ADR and supervised the Foley. To be honest by ‘supervised’ I mean I turned up to Goldcrest with a shopping list of what the director wanted and what I knew we needed to get to get the most out of sound track and just watched and learnt as I watched the crew produce the goods and then some with minimal fuss.